Johnnie worked magic on these mason jars with some glitter and decoupage to create these beautiful patriotic mason jar lanterns. These would make the perfect shimmery 4th of July decoration, inside or out. 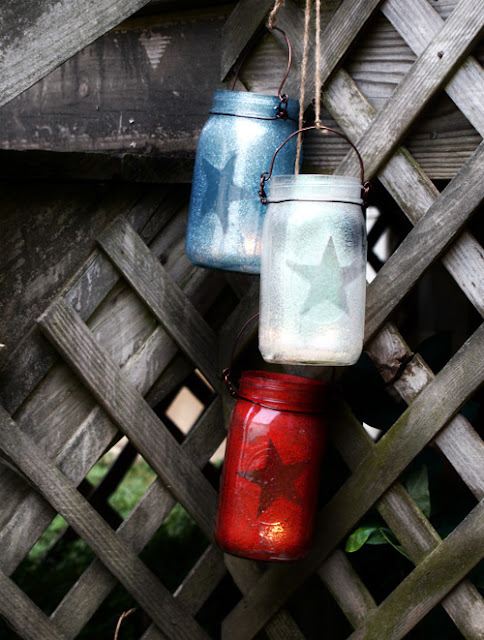 You can check out the patriotic mason jar lantern tutorial over at Saved By Love Creations.